Squash is a very active sport that depends on fast and high energy movement across the court and striking the ball. But, over a period of time the constant extreme movements can lead to squash injuries. What can be done then for squash injury prevention? There are a variety of reasons why a squash player can get injured – simply an accident, old age, pre-existing injury, or inadequate preparation. 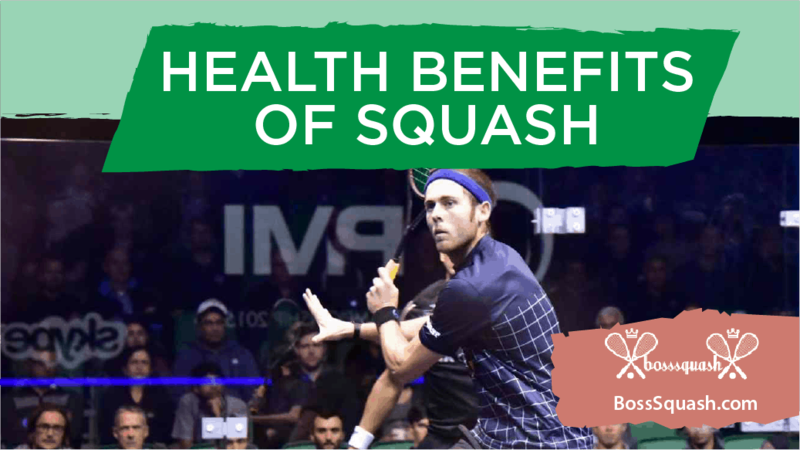 If you are just starting out in playing a sport like squash, you may benefit from a little knowledge of the most typical injuries in the game to get better prepared and lower the risk of an injury. Squash injuries to the shoulder, hamstrings, and knees are among the most common. Squash players are likely to suffer the muscle related injuries as a result of the regular drastic moves to get across the court and strike the ball. A typical example in squash would be the regular twisting and turning of the body, and repeated starting and stopping. Injury to the hamstring is one of the most common for the squash player. The hamstrings can strain, tear and cramp. The recovery time from a hamstring injury, such as a muscle tear can take several weeks to a month or more to fully recover. Joint injuries can happen as a result of repeatedly using force to strike the squash ball. This type of injury is typically referred to as ‘tennis elbow’, and impacts your dominant arm when striking the ball with the racket. This pain is most noticeable when using that particular arm to grip hard or to extend your fingers. Also, the fast-paced action on the court will likely have some impact on the knees. This is a result of the force involved in starting and stopping abruptly, as well as the short bursts of sprinting. The risk of impact injuries is quite high when playing in an enclosed space like the squash court. Most injuries of this nature relate to colliding with another player or hitting the wall while playing. A typical area of the body to injure in this way is the shoulders. Also, there is the risk of impact injuries from the ball bouncing back off the wall and hitting the body. Plus, there is always the risk of an opponent’s racket accidentally striking you. The injuries mentioned are the most likely to incur while playing, although there is also the risk of minor aches and pains throughout the body. Back pain can result from the constant need to repeatedly bend low to reach and strike the ball. For the squash player, injuries are virtually unavoidable. Yet, it is still best to take the right precautions and prepare for the game in the right way to minimize the risks. Warming up for any sports is a no-brainer. Yet I readily admit I jump on the court sometimes and just go at it! 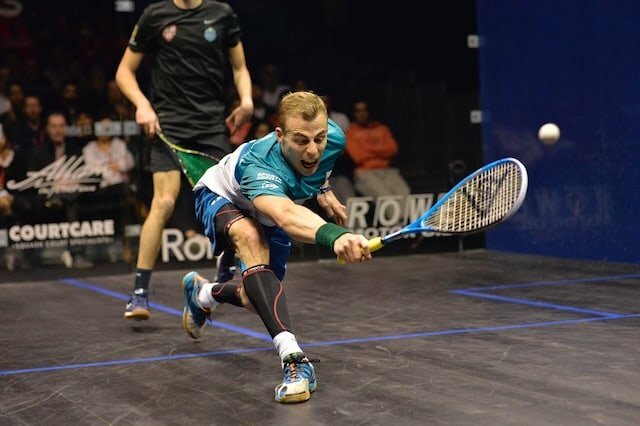 When it comes to squash, it is especially important because of the twists, turns, stretches, and lunges the game demands of you. The sprains and hyperextensions aside, going from a cold start to a super high heart rate in a very short duration of time could have other implications to your health. A five-minute warm-up run on the treadmill with a few stretches before your game would go a long way in avoiding a cold start and potential injuries. But then, fitness is a relative term. Here is what we have written for specific drills to do before your squash match. There can be too much of a good thing! If you do not listen to your body and play seven days a week, and occasionally, more than once a day, you are asking for trouble. Even at the professional level, players take at least a day off to rest and let the body relax. The overuse of key joints – elbows and knees – and muscles will eventually catch up to you. Of all the causes for chronic squash injuries, playing too much ranks near the top. Balancing your court times with your fitness and conditioning times would certainly help minimize your chances of getting injured. 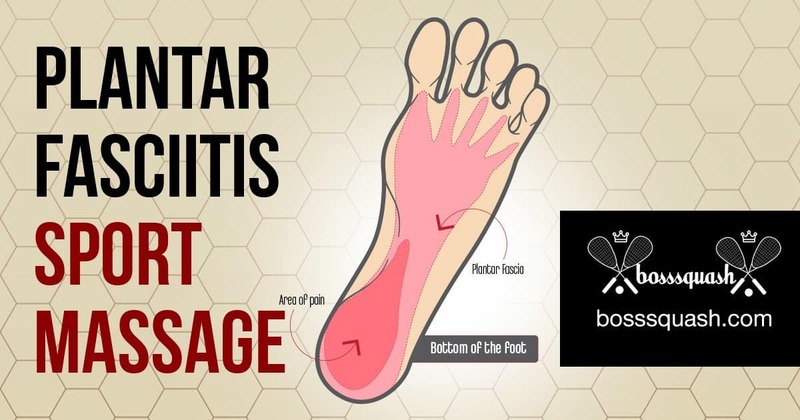 Playing any more than 4 days a week for a non-professional player requires a lot of attention to your body in order to keep yourself fresh and pain-free. Getting on the court before full recovery from a previous injury is a close second to playing too much. When it comes to sports injuries a lot of players appear to believe that they know their bodies better than their doctors. If you don’t heed the warning signs, it may come back to haunt you. If your ankle is sore or your rotator cuff is acting up again, a couple of days off the court to do some light weights or stretches may be in order. Masking your pain by popping a couple of anti-inflammatory pills may eventually cause more harm than good. Keep in mind that if you ignore such warnings, you may end up on the bike or treadmill for good.